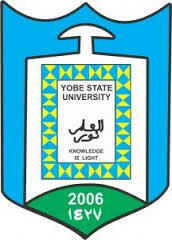 Yobe State University, YSU Consultancy Services Diploma Programmes Admission Form, Admission Requirements, Method of Application, Scratch Card Prices for 2018/2019 Academic Session Out. The Directorate of Consultancy Service, Yobe State University hereby announced the sales of scratch cards for admission into diploma programmes. Applications are hereby invited from suitably qualified candidates for admission into the following Diploma Programmes of the Yobe State University for the 2018/2019 Academic Session. The Vice Chancellor, Prof. Yaqubu Muktar has magnimously approved reduction in the price of application scratch card into Diploma programmes. Candidates must pass three relevant O’ Level subjects at credit level in WASSCE, SSCE, GCE or their equivalent in examinations administered by WAEC, NECO, NABTEB, NBAIS or cognate bodies at not more than two sittings. At least two credits must be relevant to the course applied for. Prospective applicants are to make a non-refundable payment of N3, 100 into Account name/Number: YSU CONSULTS STUDENT REGISTRATION/00226614491 GT Bank Plc Damaturu Branch and obtain a scratch card for the application. Visit consult.ysu.edu.ng and click Diploma Application under the Admission Tab at the homepage. Provide all information required and print acknowledgement slip for your personal reference. If you have difficulties or inquiries, send a mail to diploma@ysu.edu.ng or call 08032823779. To qualify for Degree programme at Yobe State University Damaturu, graduates of our Diploma programmes must remedy their O’ Level deficiencies. Candidates are enjoined to do so during the period of the Diploma studies so as to obtain the minimum entry requirement for degree programme of five O’ Level credits in relevant subjects.